Enable large-volume printing on a wide range of paper sizes-up to A3-with a 4,600-sheet maximum input capacity. Preview and edit scanning jobs. Centrally manage printing policies. Safeguard sensitive business information. 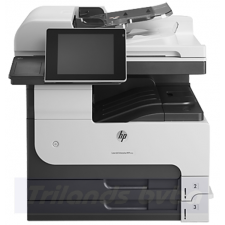 Producing top-quality documents up to A3-print, copy, scan, and fax using a reliable MFP with robust manageability and security features.